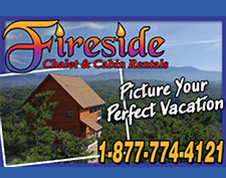 The Smoky Mountain region has some of the best lodging of any resort area. You can choose from Bed & Breakfast inns that offer views of mountain vistas, a luxury cabin or chalet with mountain views, or a luxury condo in a beautiful resort. From mom and pop motels to fine hotels with suites, we've got you covered. Many of our accommodations are pet friendly and handicap accessible. Most units, whether a cabin, B&B, condo, or hotel, are non-smoking. 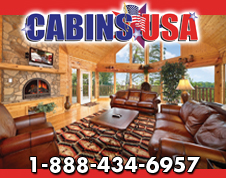 If you choose to stay in a cabin, you can easily find a romantic cabin for two, a larger cabin for family getaways, and big cabins for groups. At your cabin, you will find a BBQ grill on the deck along with a Hot Tub where you can look out into the forest or even take in a view of the mountains. Our condo resorts offer water parks and convenience to all attractions, restaurants, music theatres, and shopping venues. Mom and pop motels line the Parkway in Sevierville, Pigeon Forge, and Gatlinburg. That makes it easy to take your lawn chair to the street curb and watch car shows, parades, or just sit back and take in all the activity. Our larger hotels are also on the Parkways but some are a tad bit off the beaten path. All area hotels and motels have handicap accessible units. 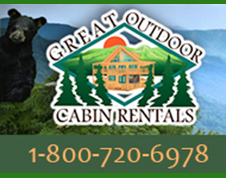 You can also find a number of handicap accessible cabins.